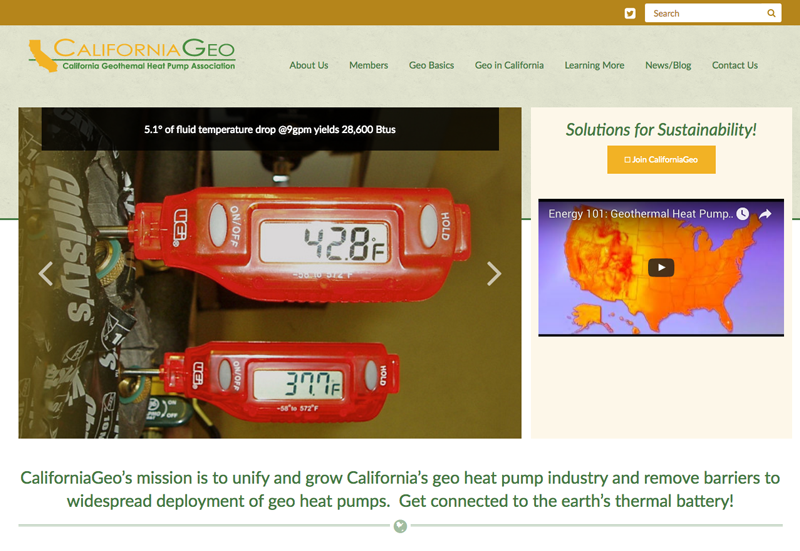 CaliforniaGeo is an organization that understands the mature technology of geothermal heat pumps and has dedicated its efforts to see that they are deployed as a major tool in achieving California’s bold goals for energy efficiency and greenhouse gas reduction. California Geothermal Heat Pump Association, Inc. DBA CaliforniaGeo is a nonprofit, 501c6 organization, incorporated in California. Its officers and directors are all volunteers, and operate without part-time or permanent staff. 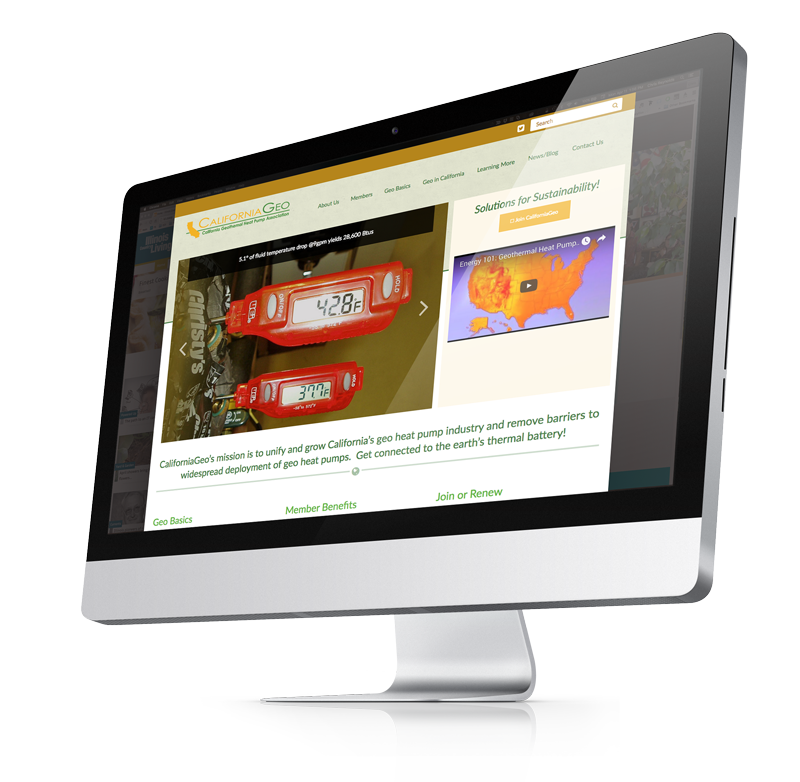 CaliforniaGeo came to us looking for an affordable and easy to use website from a company they knew they could trust. In working with CaliforniaGeo we helped refine their brand as well as implement the new site. In working with a client that is located so far away we’ve used remote support software as well as individualized mini training videos to keep the project on track and ensure clear communication between the client and our staff.